India has a culture more than 5000 years old. And it is believed that this sub-continent of Asia shares various cultural plots with the world that any other culture or country hardly done. From oldest religious views to modern culture, India has earned the respect of the world heritage. One of them is indeed, heritage paintings. If you want to explore the Indian Ethnic paintings, you must gather some knowledge about the Indian painting history. May be this is what that makes it different from world art. Why these paintings are different? Indian paintings are influenced by various cultures such as Buddhists, Jainism, Mughals, Muslims, Persian, Western, Regional, Continental and modern. No other countries can represent the heritage tittle proudly. Apart of being influenced by various cultures, India has its own regional culture that is mixed with the painting. You can find modern paintings and also you can find Indian folk art paintings. It represents the regional culture of India. From the very oldest days up to the modern days, this folk painting has earned the respect worldwide. Indeed, they are master piece. 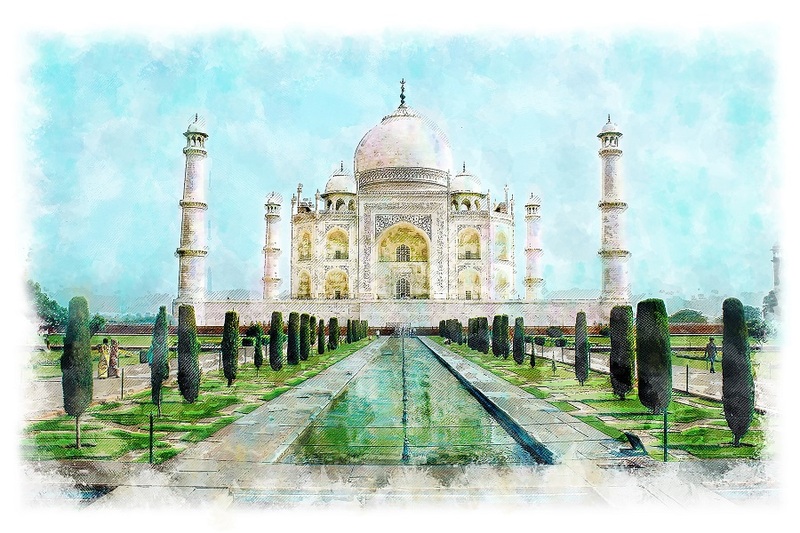 Different cultures, different languages, different artistic views, vivid foreigner cultures, adopting new cultures, these all have directly impacted the India heritage paintings. The paintings are mostly done by the world famous painters under the King’s or Queen’s jurisdiction. From Kama sutra to holly paintings, all are the backbone of Indian art paintings. The Indian painting is a form of Indian art. The first paintings of India were paintings on rock made in prehistoric times, petroglyphs such as those observed in Bhimbetka, some of them date back to before 5500 BC. Before you buy paintings online, you must know the importance of Indian culture and history, even in the modern times. Such works continued in time for several millennia, then in the seventh century the carved pillars of Ellora. Something later is the frescoes in the caves of Ajanta and Ellora Cave. In addition, the Buddhist literature of India has a great abundance of texts that describe that the palaces of kings and aristocratic classes were decorated with paintings but unfortunately they have not survived to this day. How it impacts the world art? The paintings of India have an aesthetic continuum that extends from the first civilizations to the present day. In its beginnings, its nature was essentially religious but then the painting of India evolved over the years to become a fusion of various cultures and traditions. Indian painting has been exposed to Greco-Roman, Iranian and Chinese influences. The cave paintings that are observed in different parts of India are a testimony of these influences and the continuous evolution of new pictorial languages is evident. The history has always cherished the importance of Indian paintings. If you want to buy paintings online, you must choose the category. Indian paintings are world famous due to its various categories, from folk to modern Indian city paintings, from king’s portrait to war, from abstract to still painting, from nature to disaster and many other artistic views are framed in Indian painting.